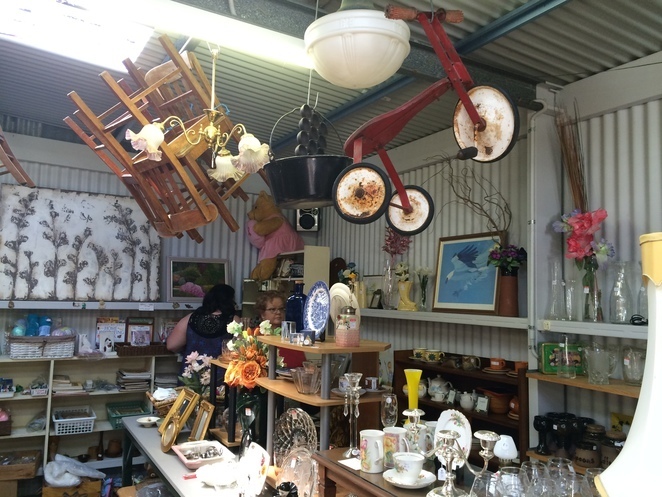 If there's one thing better than an op shop, it's a whole trail of them. I can happily while away most of a day fossicking around my locals and there are lots to choose from on SA's south coast. I counted twelve and a half of them. Maybe you know of others? Each has its own character and I find that each offers specific treasures to suit either my indulgent nature or my bargain hunting instinct. Let's start at Goolwa, our river port town. The Charity Barn is located a little out of the main town at 12 Corio Terrace and it's only open on Fridays and Saturdays from 9.30am until 3.30pm. It's run by the Alexandrina Wildlife Support Group and I often encounter an orphaned possum or two when I visit. 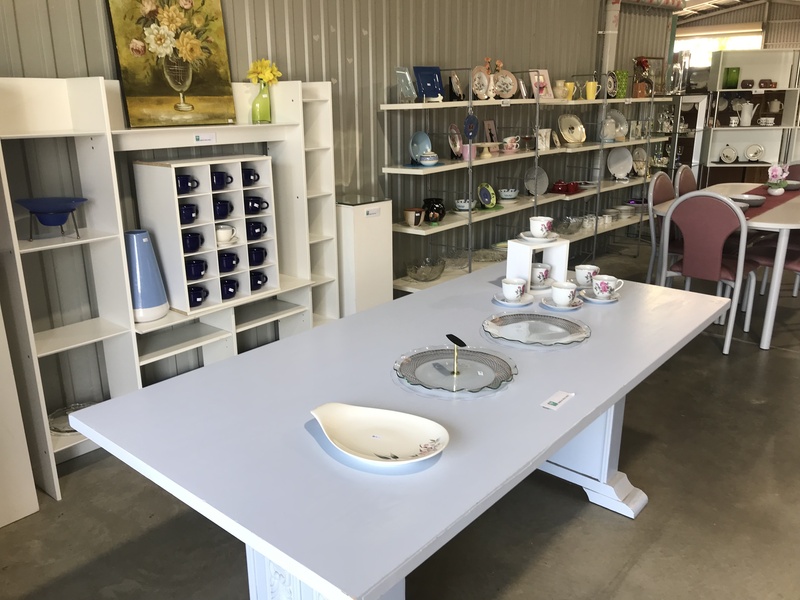 The Charity Barn specialises in household goods, from large furniture items to crockery, cutlery and trinkets. There are some authentic antique treasures in stock too, as well as books and a small amount of clothing. 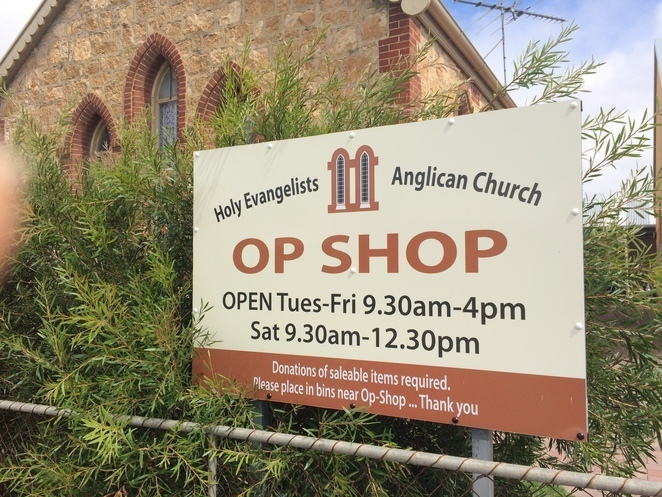 Closer to Goolwa's main street is the Anglican Church Op shop. 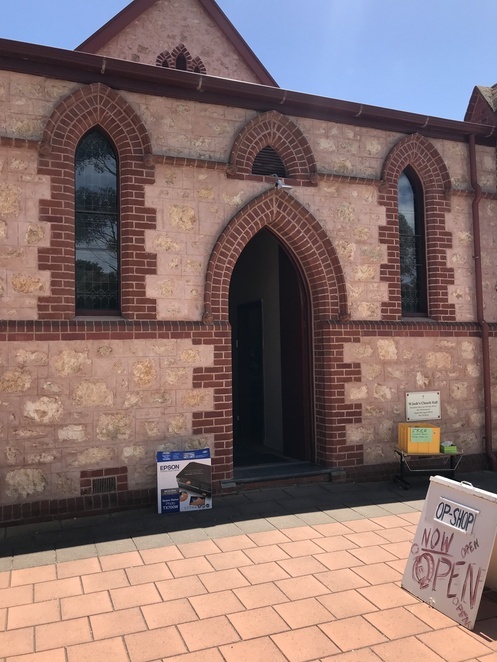 it's near the corner of Cadell Street and Croker Street and it's open Tuesdays till Fridays from 9:30am to 4pm and Saturdays 9:30am to 12:30pm. I love this op shop for clothing and usually leave with an item or two. My granddaughters have inherited the op shop gene and love stocking up on small furry toys at this shop. I only need to give them $2 each and they leave with a handful of toys each every time we visit. Anglican Church Op Shop. Goolwa. 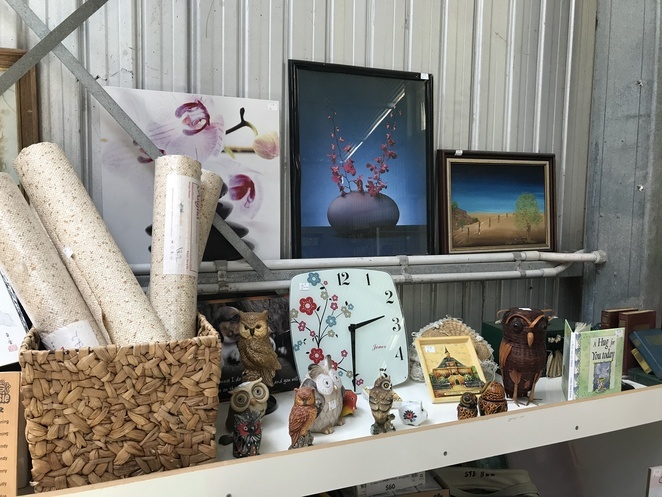 The Wildlife Welfare op shop is located at 15 Hutchison Street and is open 7 days from 10-4pm. It's a treasure trove of glassware, crockery, crystal and trinkets all beautifully displayed throughout the rooms of this former home. Outside the front door, there are small plants from $2 each. Whalers Emporium has recently relocated to 48 Gardiner Street in Goolwa's industrial area. The shop is open from Monday to Friday 9.30am until 4.30pm and Saturdays from 10am-2pm and you'll find everything here. You name it, Whalers has it. 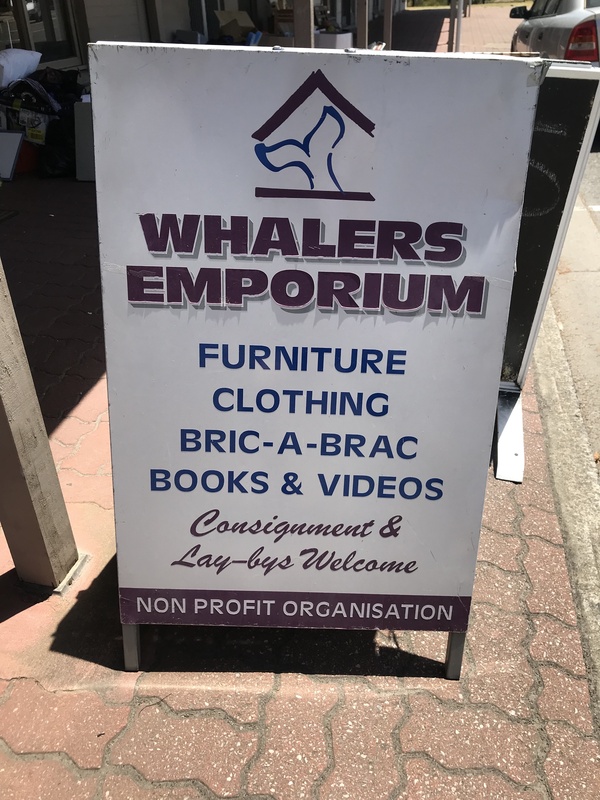 Whalers Emporium. 48 Gardiner Street. Goolwa. Heading out of Goolwa, towards Middleton, is where you'll find Salvage and Save on the left. The 'shop' comprises a huge shed as well as a large yard area that stocks household, garden and some building materials. 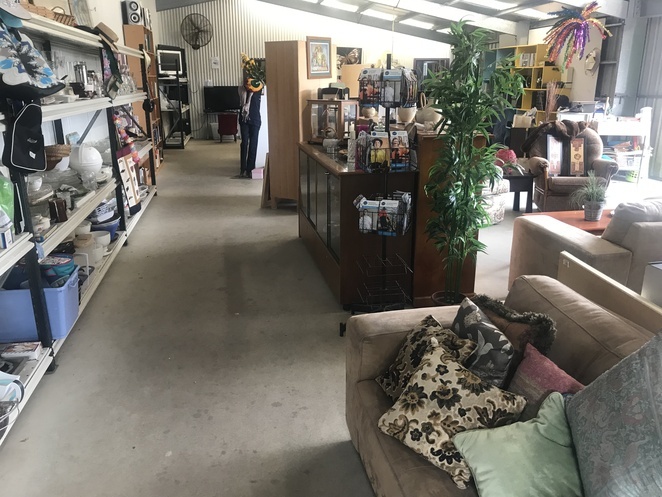 Past Middleton, in the general direction of Port Elliot, at 123 Waterport Road is The Olive Tree op shop, run by the Encounter Christian Fellowship. It's open Wednesday until Saturday from 10am til 3pm and stocks children's toys, books for everyone and craft materials as well as bric-a-brac and some clothing. 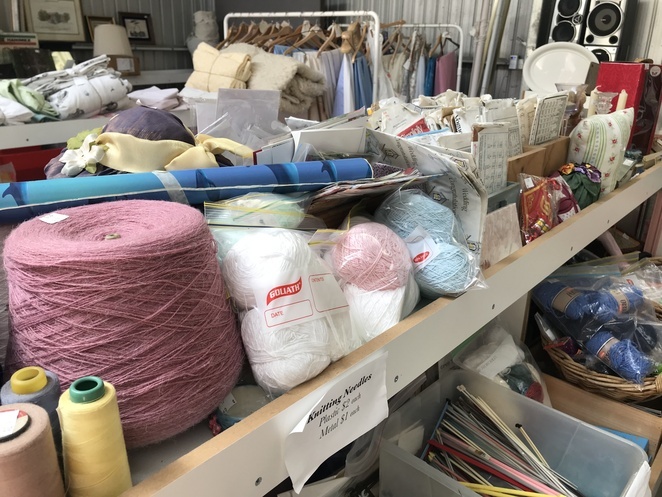 There's a great stash of knitting needles, crochet hooks wool, yarn and thread at the Olive Tree. I counted St Jude's Op Shop, in Port Elliot, as half because it only opens during school holidays. My granddaughters love to visit four times a year when they come to stay for the holidays. It's a delightful shop, staffed by friendly people, and well with a visit. 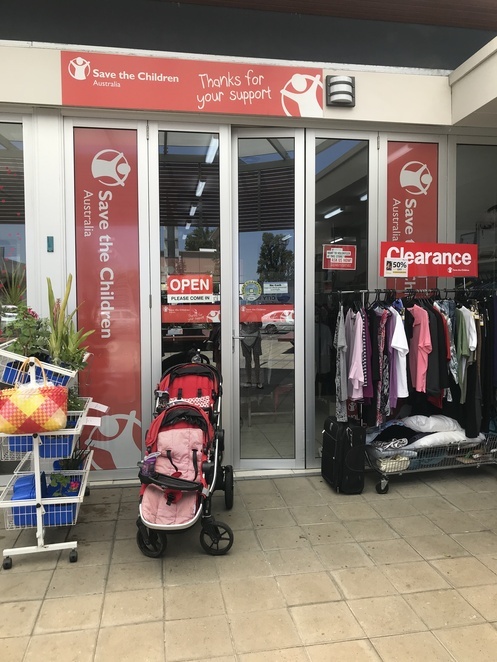 Now onto Victor Harbor where you'll find the Save The Children op shop on Ocean Street. 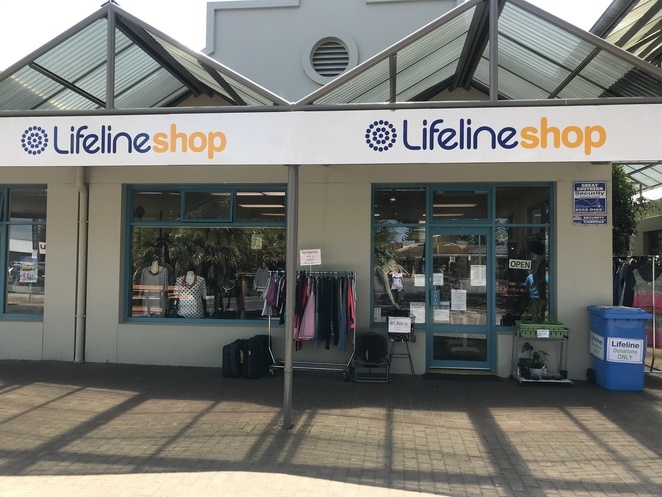 It's open Monday to Friday, 9.30pm-4.30pm and stocks good quality clothing, books and household items. 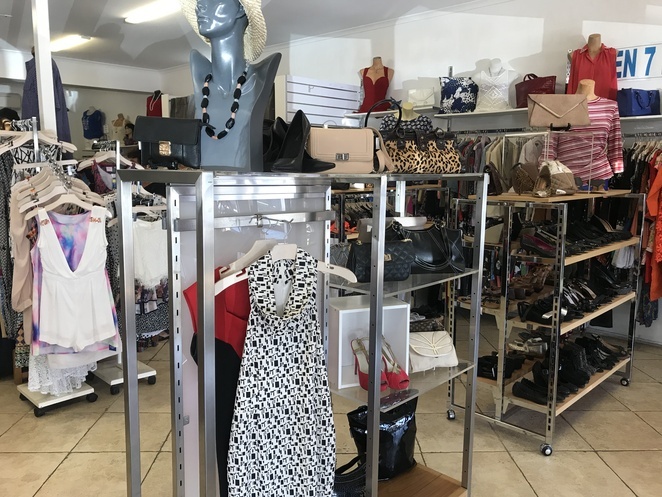 ADRA has moved location a few times in recent years but has found it's new home in Maude Street, near Victor Arbor's industrial area. You could furnish your home with ADRA stock, which includes large and small furniture items, linen, curtains, paintings and prints and more. ADRA is open Sundays 10am until 4pm and Tuesdays and Wednesdays 9am until 5pm. 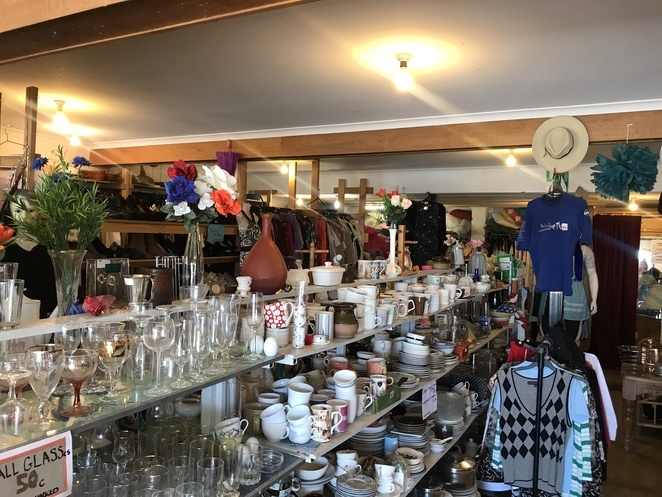 There are no fewer than three op shops, within walking distance from each other, on Victoria Street, Victor Harbor. Vinnies and Salvos are in the same row of shops and both boast impressive window displays. Vinnies on Victoria Street, Victor Harbor. Vinnies even take credit cards these days. 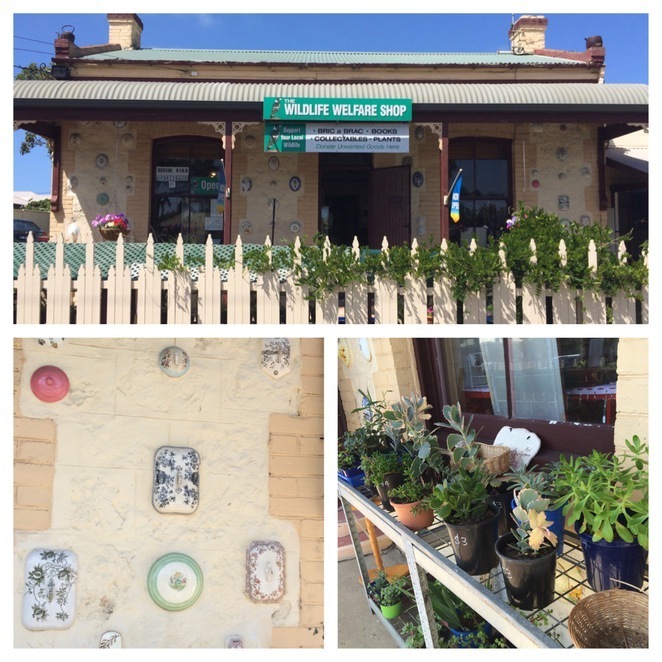 Whalers Victor Harbor op shop is just across the road from Vinnies and Salvos so you can leave the car and walk. Unless you buy large items of course which is entirely possible at Whalers due to the room, adjacent to the main shop, which has furniture and other large items, all at a bargain price. One last op shop; Lifeline, can be found near Harbor Mall on the corner of Crozier Road and Stuart Street. This is a gem due to its regular sales which offer everything for half price and even, drum roll, shoes for $2 a pair. 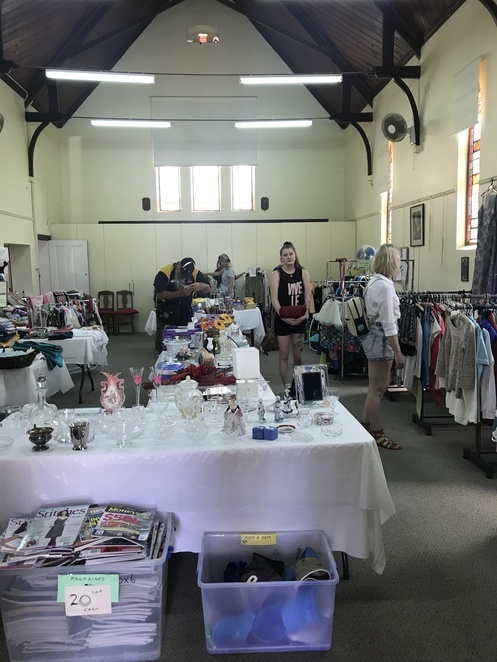 So many op shops and too little time. Why? Who doesn't love a bargain? When: Most days. 10am-4pm - ish. Check with individual shops.